Another westbound leaves the Shoreline to head for Maybrook, NY., where most of its cars will be forwarded by either Erie-Lackawanna or Lehigh and Hudson River. 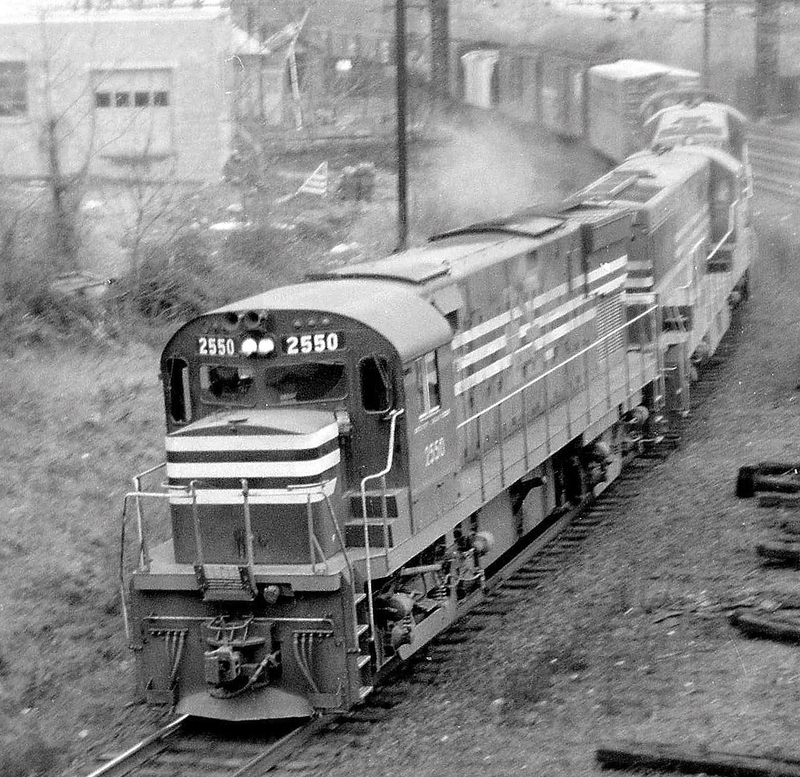 Maybrook line consists, at the time, were pure 2500s and 2550s. Occasionally, RS-3s helped out. They were usually local power "working their passage" to or from Danbury. Photographed by Ken Patton, April, 1968. Added to the photo archive by Ken Patton, May 14, 2018.